The Founders of Miso Music Portugal are Paula and Miguel Azguime, composers, performers and multimedia artists who, since the foundation of the Miso Ensemble (a flute and percussion duo with electronics, with a unique career on the Portuguese music panorama), have been developing a tireless work in the field of new music, contributing in an active way for the expansion and promotion of contemporary art. Since its foundation the Miso Ensemble has been recognized by the public and critics alike as one of the most innovative Portuguese contemporary music groups. In addition to Paula and Miguel Azguime's artistic activity, they have been intensely dedicated to the promotion of Portuguese composers and contemporary music both at the national and international level. In this context, years long, they have been developing numerous and pioneering activities, which gave origin to Miso Music Portugal. 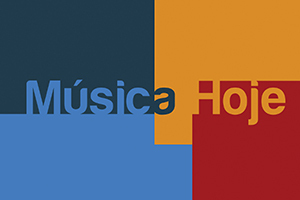 These activities include the creation of the independent label Miso Records, the realization of the Música Viva Festival, the creation of the Miso Studio, a studio for the development of music with live electronics, as well as the foundation of the Portuguese Music Research & Information Centre. Paula Azguime is Miso Music Portugal's executive director and Miguel Azguime his artistic director. Paula Azguime was born in 1960 in Lisbon. Composer, flutist, scenic designer, videographer and sound designer, for more than 30 years of her continuous activity she has been developing a singular career on the panorama of contemporary art in Portugal, possessing the capacity to move with the same ease within various areas of artistic activity, from new music to theatre, stage design and production. On the one hand, as composer she received commissions from various public, private, as well as national and international institutions, and on the other, as performer within the Miso Ensemble, together with Miguel Azguime and other musicians, she performed at some of the most important contemporary music festivals in Portugal and abroad. Over the more recent years she has developed her main activity as sound designer, multimedia artist, and as scenic designer of electroacoustic theatre and new opera, within an innovative approach towards the expression of new music on stage. From her more recent projects one should emphasize the video stage design for the multimedia opera A Laugh to Cry (commission of the Warsaw Autumn International Festival of Contemporary Music with the support of the Ernst von Siemens Music Foundation), as well as the children opera The Little Girl Water Droplet (2011). The music for both of the works was written by Miguel Azguime. Miguel Azguime was born in 1960 in Lisbon. Renowned for his versatility and for possessing a wide range of means within the contemporary language, his musical universe reflects an approach based on his multifaceted capacities as composer, performer and poet. This three-dimensionality concomitantly challenges a certain, almost mystical vision of art. The beginnings of Miguel Azguime’s career are marked by his participation in various jazz and improvisation groups, as well as by the foundation of the Miso Ensemble, together with Paula Azguime in 1985. The evolution of the Miso Ensemble’s language, from improvisation to composition and utilization of digital and audio-visual means of creation, coincided with Miguel Azguime’s affirmation as composer, and with the foundation of the cultural association Miso Music Portugal. 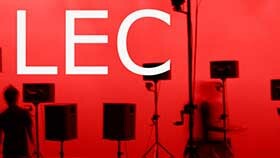 As both Miguel Azguime's background and influences have quite eclectic roots, he composes music for diverse formations - instrumental and/or vocal, with or without electronics, electroacoustic music, sound poetry, as well as music for exhibitions, sound installations, electroacoustic theatre, dance and cinema. The relations between his triple artistic activities as composer, poet and performer gave birth to his interest in hybrid forms and unique relationships between music and text, speech as music, music as speech, as he uses to say, in a search for a new meaning and balance between those two realms. In this context, one should emphasize his two operas, Salt Itinerary (2006), created in Berlin in the context of his DAAD residence, and the more recent, A Laugh to Cry, premiered in September 2013 at the Warsaw Autumn International Festival of Contemporary Music. Salt Itinerary constitutes in a certain way, the culmination of an integration process, when it comes to writing poetry and music. 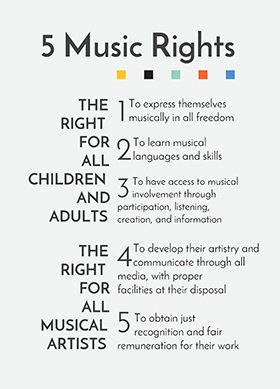 This process has also led to a new form of creative collaboration with Paula Azguime within the Miso Ensemble. This cooperation encountered its consolidation in A Laugh to Cry, a metaphysical theatre which is developed on the edge of dream and reality, in which the music of Miguel Azguime and Paula Azguime's video and stage directing coexist in a truly symbiotic form. 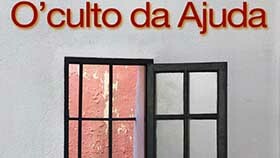 For more information on Miguel Azguime's activities as a composer follow the link: www.azguime.net.